This forum is financed through membership subscription, that gives you in return access to the Premium Area with special content. The subscription system has been recently improved to be effective immediately and also allow debit or credit card payments. 2. 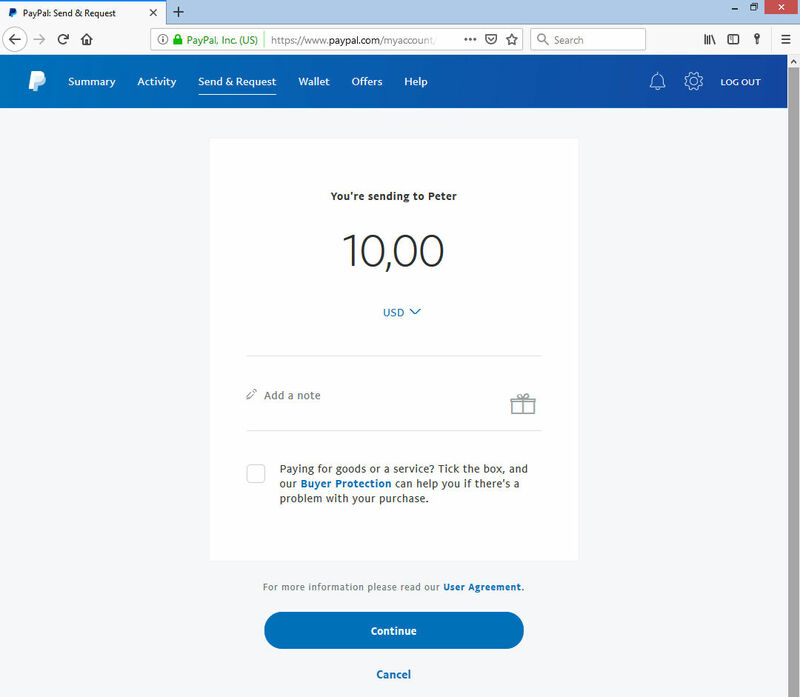 Select the duration you wish to subscribe for (in this example, $10 for 1 Month). One Time Premium Membership will automatically expire after the selected time. It will NOT auto-renew. Recurring Premium Membership will automatically auto-renew with the same sum. 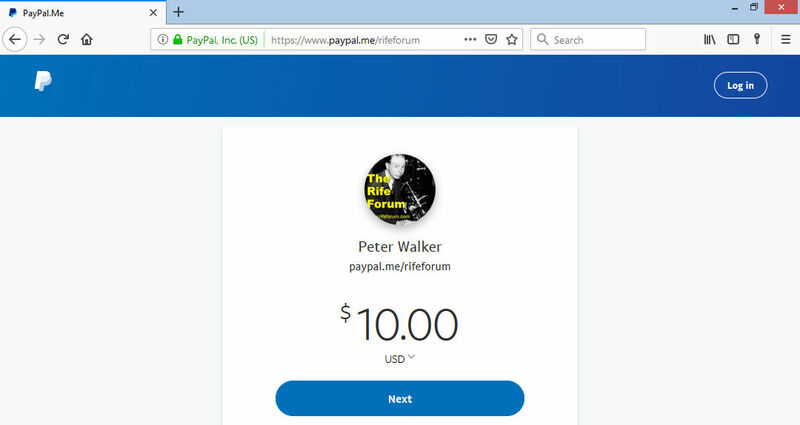 Simple Donation Form will give you a one-time subscription via PayPal in one step. 5a. 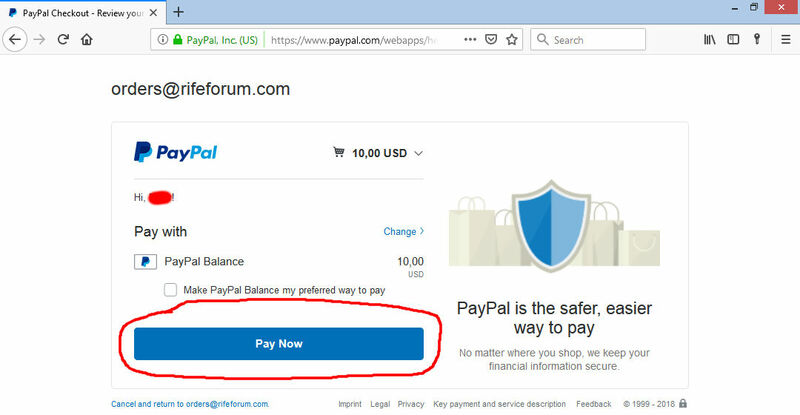 If you choose PayPal, you are taken to PayPal to complete the payment. 5b. If you choose Credit Card, you can now fill in your Full Name, Credit or debit card number, Expiry date and CVC security code. When correct, click on the big green button to pay. 6. 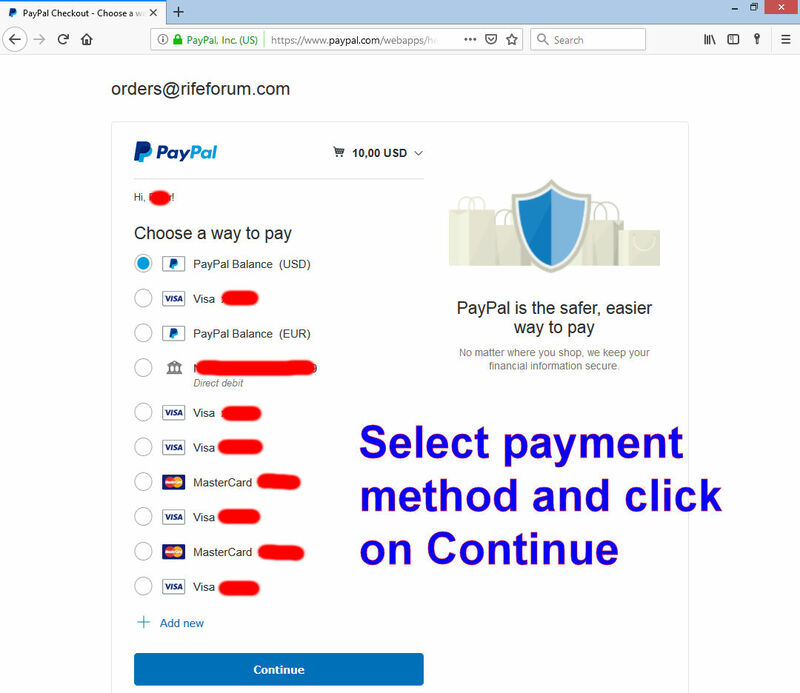 You will receive a PM message telling you the payment will be checked. 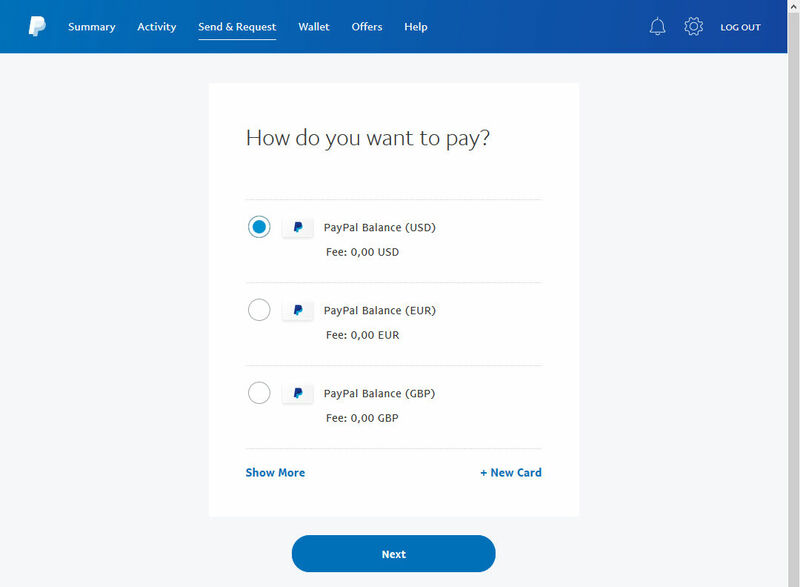 Once payment is confirmed (often within seconds), you will receive another PM confirming your subscription. 7. That is all, you can now visit the Premium Area and access the exclusive content. Thank-you for subscribing and supporting the Rife Forum. Are there any other alternative ways of donating to the Rife Forum? 4. A summary is displayed and you have a second opportunity to leave us a note. 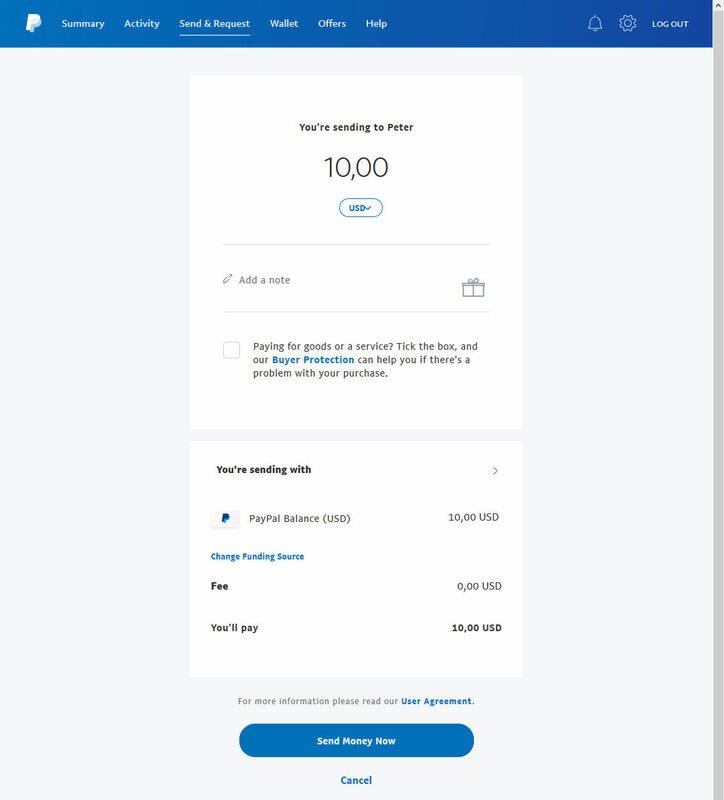 When all is correct, click on the "Send Money Now" button to make a payment. 5. You will see this confirmation page - thank-you. Last edited by Peter Walker; 12-28-2018 at 20:31.